This summer the Equal Employment Opportunity Commission (“EEOC”) issued updated enforcement guidelines to help employers stay in compliance with the Americans with Disabilities Act (“ADA”) while administering leave requests. While the tenets of the ADA are left unchanged by the update, the purpose is instructional. Think of it as a guidebook to simplify the requirements under the ADA and help employers steer clear of costly litigation: something definitely worth knowing. The general premise is that employers covered under the ADA must provide unpaid leave unless they can show that doing so would create an “undue hardship”. However, this does not mean employees on ADA leave get unlimited leave or that new job duties must be created. “Undue hardship” is assessed on a case-by-case basis, weighing factors meant to determine the reasonableness of the accommodation, such as: the net cost of the accommodation compared to the financial resources of the employer and the impact on the operation of the employer’s business. There is no “one-size-fits-all” definition for undue hardship; what constitutes undue hardship for a small, family run business might not be the same for a giant, international conglomerate. The best practice is for employers to consider each request for an accommodation on an individual basis and, where it is still unclear, consult with labor counsel. Equal access to leave must be provided under an employer’s leave policy. 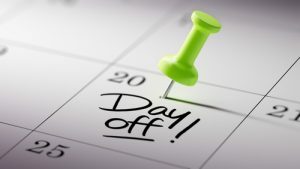 Where an employee requests leave as a reasonable accommodation, and that leave falls under the employer’s general leave policy, or there is no policy but the employee’s requested leave conforms to an articulated past practice, the employer cannot impose any additional requirements that an employee going on regular leave would not be subject to. For example, an employer cannot require a doctor’s note substantiating the requested leave if the policy or practice is not to require one. Employers must modify policies that limit the amount of leave employees can take when an employee needs additional leave as a reasonable accommodation, so long as the modification does not create an undue hardship. For example, if an employee has used all of his or her allotted paid leave, or has not worked long enough to obtain employer or FMLA benefits, and still requires leave as a reasonable accommodation, unpaid leave must be provided barring undue hardship. An employer is not required to provide paid leave beyond its leave policies, nonetheless it may be forced to provide unpaid leave beyond what the policies provide. Policies that require employees on extended leave to be 100 percent healed or able to work without restrictions may violate the law by denying employees reasonable accommodations that would enable them to return to work for a period before returning to their full duties. For example, where an employee who has been out for 10 weeks for surgery now seeks to return pursuant to a doctor’s note providing a 20-pound lifting restriction, he or she must be permitted to return if the employee’s essential and marginal functions do not require lifting more than 20-pounds and the employee can perform his job without posing a significant risk of substantial harm to himself or others. In other words, an employer should not try to use a technical reason to prevent a willing employee from returning to work where, practically speaking, he or she will be able to perform all of the jobs actual duties. Employers must consider reassignment as an option for employees with disabilities who cannot return to their jobs following leave. For example, upon returning from an extended leave, if an employee cannot perform the essential functions of his or her job with or without reasonable accommodation the employer must consider reassigning the employee to a vacant position for which he or she is qualified, without requiring the employee to compete with other applicants. Again, employers are not required to create a new position or new job duties as part of a reasonable accommodation, but where the employee can perform another job that is open and he or she is qualified, then the employer will be required to reassign the employee to the open position, barring an undue hardship. Reassignment does not include promotion, and generally an employer does not have to place someone in a vacant position as a reasonable accommodation when another employee is entitled to the position under a uniformly-applied seniority system. Communication is a required component of compliance. Employers are required to engage in a good-faith dialogue with employees requesting leave designed to identify what is reasonable in any given case. When an employee requests leave, or additional leave, for a medical condition, the employer must treat the request as one for a reasonable accommodation under the ADA. However, if the request for leave can be addressed by an employer’s leave program, the FMLA (or a similar state or local law), or the workers’ compensation program, the employer may provide leave under those programs. If the leave cannot be granted under any other such program, the employer should promptly engage in an interactive communication with the employee to determine the feasibility of providing leave as a reasonable accommodation without causing an undue hardship. As always, when an employer seeks to comply with any law or regulation the best practice is to take a step back and ask does this seem fair; are the rules being applied equally and in good faith. A common sense approach to any employment issue can go a long way, and if that fails, consult with experienced labor and employment counsel. 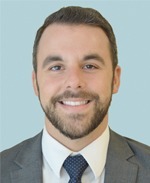 Neil Morris is the Chair of the Labor & Employment practice group in the Philadelphia regional office. He has passionately represented employers for the last 30 years. He specializes in the areas of labor and employment, municipal labor law, employment discrimination, defamation and business litigation. 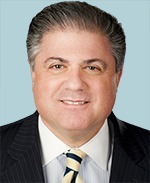 He has also served as Labor Counsel for every size business and institution on a local, regional, and national scale. He has represented more than 35 Pennsylvania Townships and Boroughs and the County of Bucks. He is often brought in to handle “crisis” situations involving employees and/or management.